These were definitely on your X-mas list back in the day. 1. A Nerf football to live out all your backyard NFL dreams. 2. A Baby Alive that let you make all her food yourself. 3. Mastermind to try to prove you were smarter than all your friends. 4. 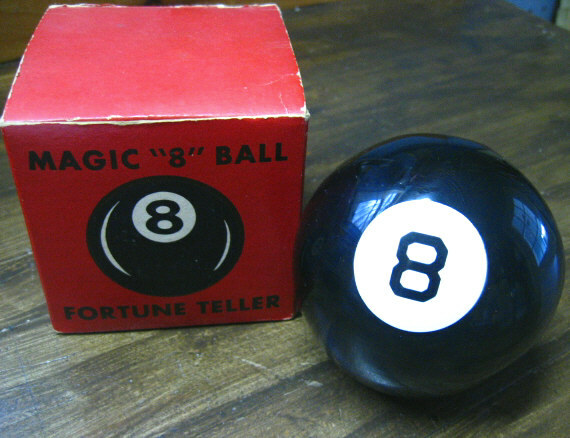 A Magic 8 Ball to help you make decisions about your crush. 5. Silly String to piss off your mom and stain the carpet. 6. A Pet Rock because your parents wouldn't get you a dog. 7. And while you were at it, the Little People Farm to let you practice your budding agricultural skills. 8. These Star Wars action figures that are literally infused with the Force. 9. An Erector set that taught you how to become an engineer, with deadly-looking parts. 10. A "Thum Wrasslin" set, because normal thumb-wrestling wasn't enough. 11. Speak & Spell: the closest you could get to an actual computer. 12. Rock'em Sock'em Robots let you knock each other's heads off. 13. Who could pass up a game of Jax? 14. The Thing-on-a-String is like a mutant yo-yo. 15. Trying to catch the bones on the stick is way harder than it looks. 16. The Magna Doodle, which predates the Etch A Sketch and let you draw all day and night. 17. Rubik's Cubes were hours of frustration, unless you cheated. 18. Derry Daring let you live out your ~extreme~ dreams. 19. And Evel Knievel toys actually made you feel like a daredevil. 20. Stretch Armstrong usually broke not long after you got him. 21. The Bionic Beauty Salon, for girls who wanted to repair the Bionic Woman's parts and take on new assignments. 22. A Turf Rotor lawn mower so you could take household chores into your own hands. 23. Sonny and Cher dolls because the duo is forever iconic. 24. Trolls, because they've literally been around forever. 25. The Frustration Ball made you want to throw it at a wall after a few hours. 26. The Tonka Dump Trucks were epic because who didn't want to fill up the back with dirt and rocks?! 27. The Six Million Dollar Man action figures gave you a small taste of what it's like to be an android. 28. With LCD "players" and sound effects, the Mattel Classic Football game was the closest you'd get to Madden back then. 29. And of course, Barbie dolls for hours, days, months, and years of fun.